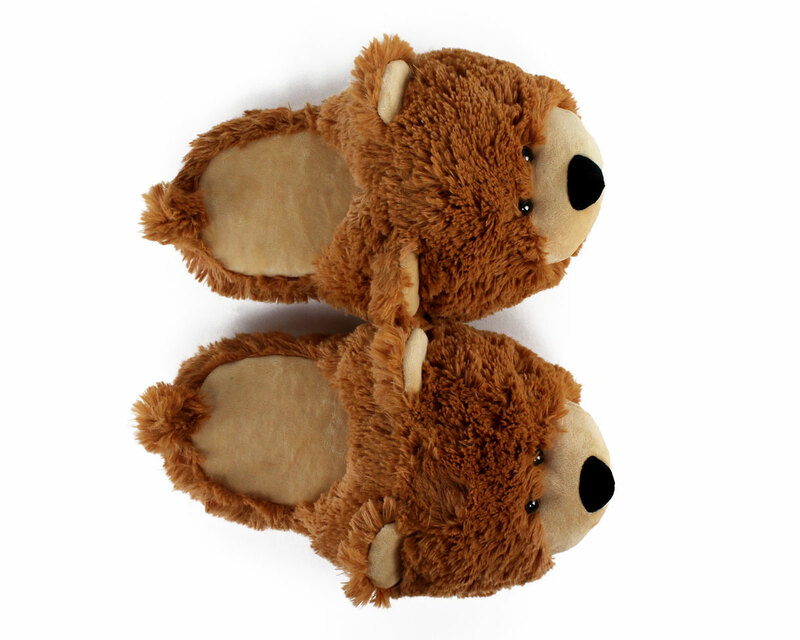 Whether eating berries or curling up in your den, our Fuzzy Bears will quickly become your favorite slippers, paws down! 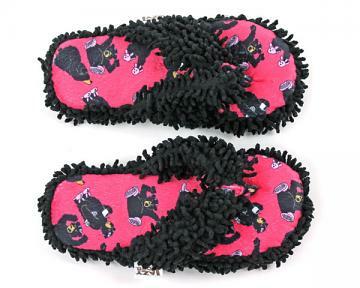 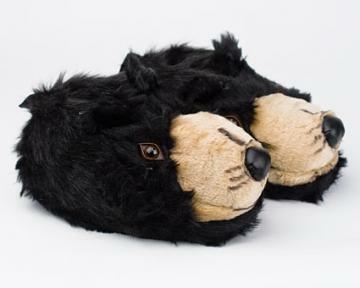 With a fuzzy brown face, black nose, adorable eyes and ears, and a tail on the back, these sweet slippers capture that classic Teddy bear charm. 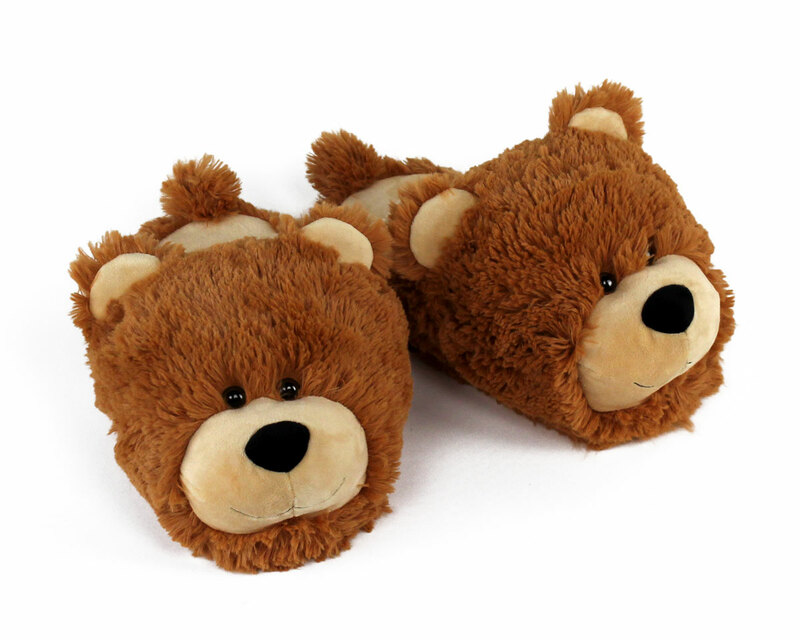 Made with velvety footbeds, pillowy soft uppers, and non-slip grips on the soles. 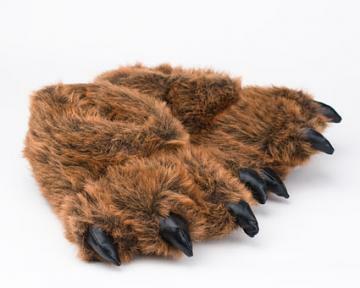 Caution: might inspire months of hibernation! 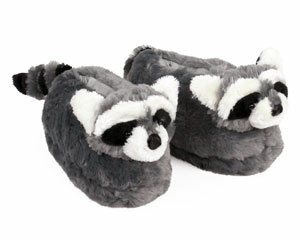 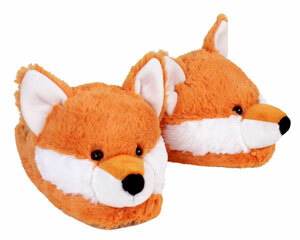 slippers are cute, comfortable and fun to wear.